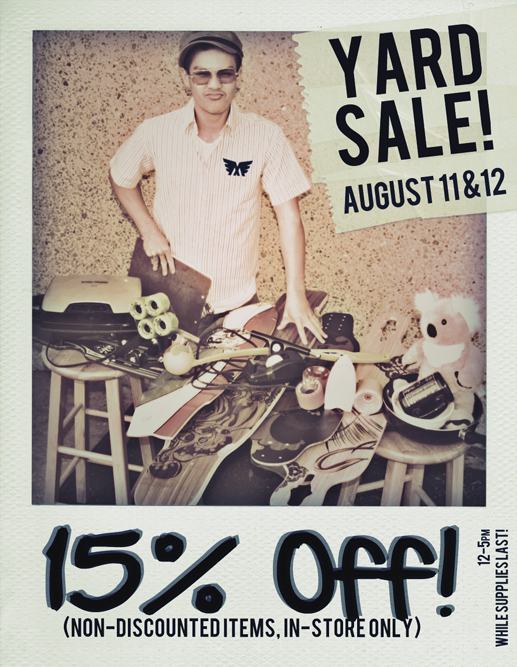 We're back with our second installment of the Summer time Yard Sale! 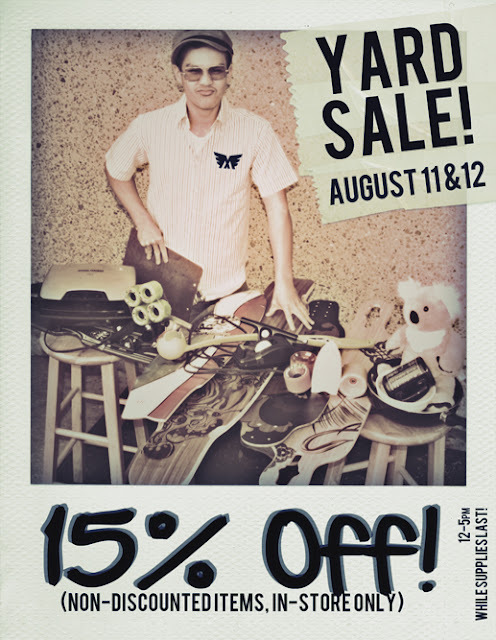 We're gonna be offering up 15% off all your favorite longboarding goodies* to those of you who are willing to make the journey out to our warehouse International Headquarters in MiraMar/San Diego! Stop by the warehouse on August 11 & 12 between 12-5pm and get your grubby glove-stained skateboarder hands filled with sweet shredboarding goodness. Be sure to keep tabs on the event on our Facebook page! We'll be posting updates there, should they arise. *The non-discounted items, that is... If it's already discounted, then it's already a good deal! I'm a girl but I love skating. My mom used to tell me not to play like a boy but my dad was so supportive he bought me a roller skate.